When it comes to shopping for home furnishings and décor in Belize, the options can be fairly limited, especially for those of us out in the Cayes. 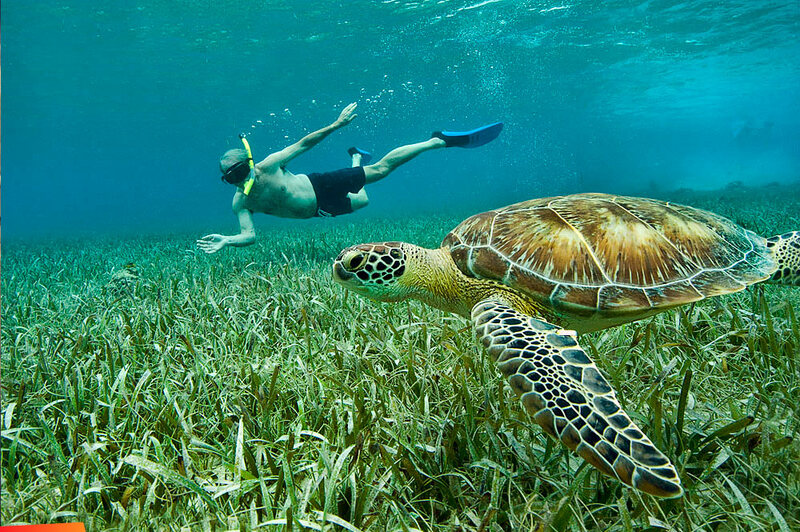 While many basic essentials can be purchased on Ambergris Caye, there are not many options. For a better selection of items and better prices on home goods, most folks will head to Belize City and head straight to Mirab. 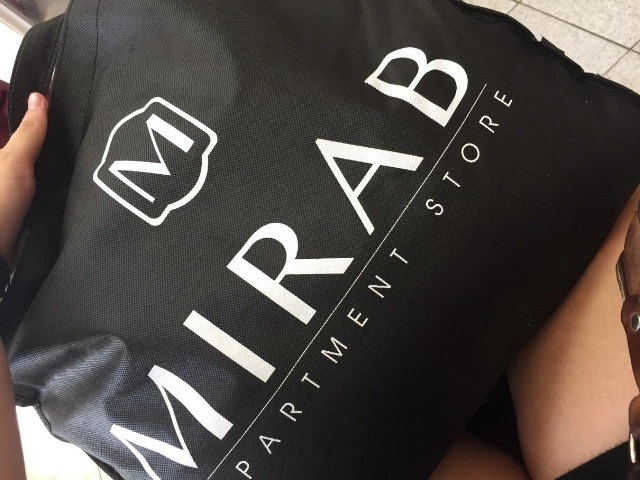 Mirab is the only major home décor store in all of Belize, and because of that, they have a good selection of home décor and goods from throw pillows to industrial kitchen appliances, and everything in between. About a year ago, while doing some errands in Belize City, I asked my favorite taxi driver, Teddy Bear, what this beautiful new, three story building was going to be. 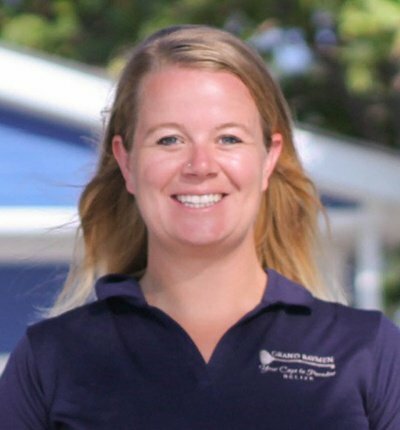 When he replied, “A new bigger and better Mirab,” I got pretty excited…and I’m sure a few thousand other people did too when they got the news. 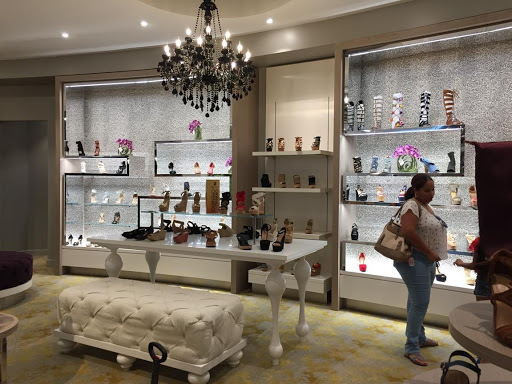 The doors opened on Wednesday, October 10th, but the weekend of October 20, 2018 was the new Mirab Department Store grand opening and I made the journey over to Belize City mid-Saturday morning. After a beautiful boat ride through the Caribbean Sea from Ambergris Caye, I arrived in Belize City and told my taxi driver, “Take me to Mirab…the new one please!” The new Mirab and soon to be opened, Ashley Furniture Gallery, is located on the Northern Highway, about 2.5 miles from the San Pedro Belize Express water taxi terminal or 2 miles from the Belize City Municipal Airport, making it an easy and inexpensive destination. When I arrived, there were lines of cars waiting to get in, traffic officers directing vehicles and pedestrians, and hundreds of happy shoppers entering and exiting the store. 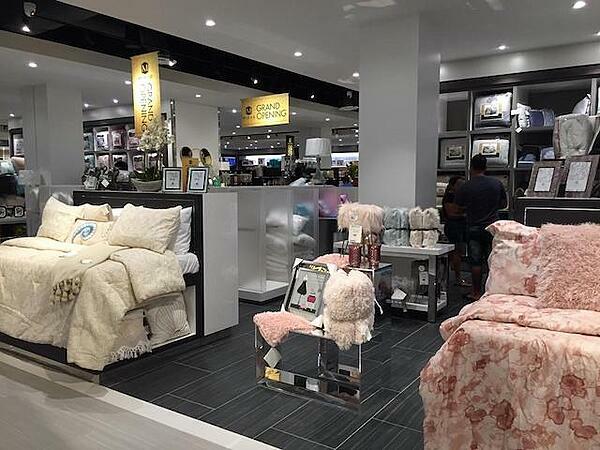 For the grand opening celebrations, a DJ was hired to keep the mood lively while shoppers took advantage of door buster deals on items like blenders, dish sets, towels, and bedding. 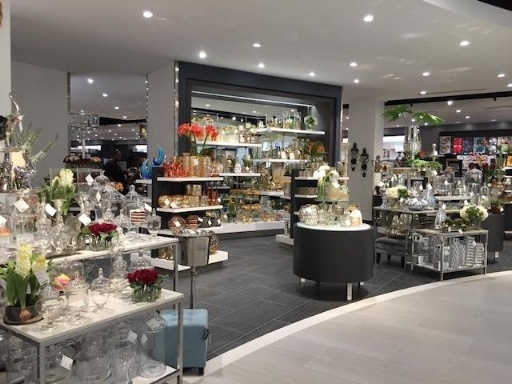 Walking inside, I thought, maybe, I had been transported to a Macy’s Furniture Gallery or some other fancy department store back in the U.S.
Everything in the store was shiny and new, a very sleek upgrade from the old Mirab Home store. Admittedly I was a bit overwhelmed by all of the options being presented in the store and quickly started to maneuver my way through the different sections of the store. As I made my way through the store, admiring the many choices of items like silverware, towels, candles, appliances, and so many other things, my shopping cart began to fill with items. Mirab employees were ready and waiting to assist customers in finding exactly what they were looking for. It was no surprise that I ran into a few fellow islanders that were equally excited about this new shopping destination. Currently, only the first two levels are open, with the Ashley Furniture Gallery set to open in early November 2018. After filling my cart beyond capacity, I made my way to the checkout counter, where the lines were long. However, much to my surprise, the checkout process was quick and friendly. So many options for home décor! After successfully purchasing more than I could carry, I made my way outside to the pop-up food court that Mirab had set up for the grand opening weekend. I enjoyed a delicious chicken shawarma from Chef Roger while waiting for my taxi back to the ferry terminal. Even as I left late in the afternoon, shoppers continued to roll in, eager for some good bargains. 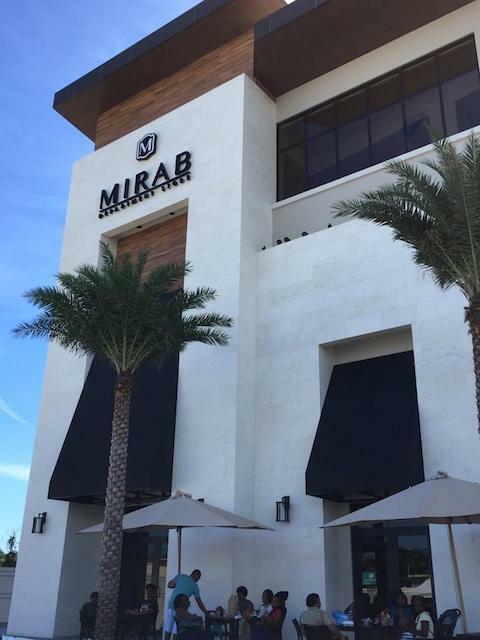 I know that this will not be my last trip to Mirab, both for my own personal shopping, and on a professional level as we routinely call on Georgia, our favorite Mirab employee to assist us in furnishing our Grand Baymen Gardens condominiums. Mirab reusable tote, chalk full of goodies!